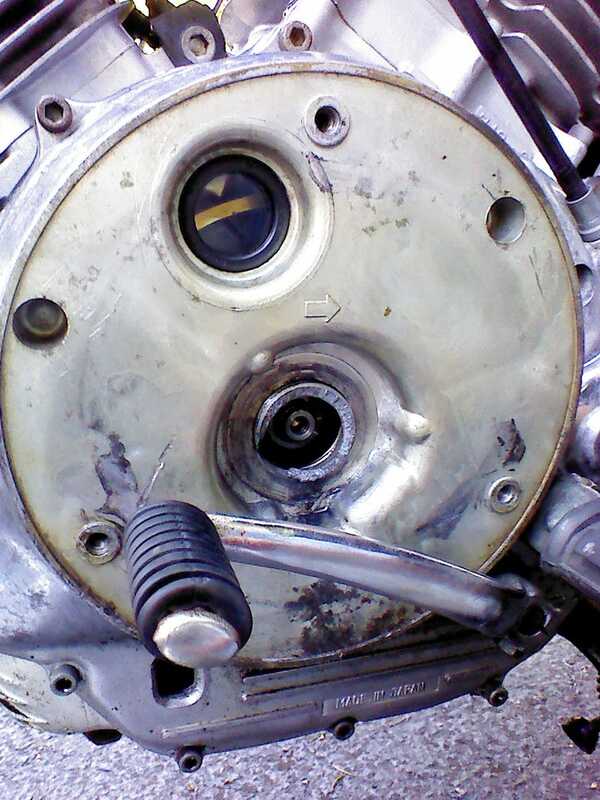 Lately, I have been noticing a bit of vibration and rattling coming from behind the crankcase cover plate on my 1982 Yamaha XV750. This morning I decided to go in and take a look around. Much to my surprise, I found the crankshaft access plug had worked its way out of place and was sitting just behind the cover plate leaving the crankshaft exposed. I looked over the plug and did not see any signs of damage or wear. So I figure, easy fix right? Just screw that plug back in, start up the engine and look for any other abnormalities. Well, as soon as I got the plug in and started tightening the threads gave way, as if made of a low density plastic. Luckily, I was able to remove the stripped threads from the crankshaft access hole, but now I need to find a place to buy this one obscure part (which I do not even know the technical name for) without buying the entire engine cover. I could also take a chance on one from a later model year that may not fit.